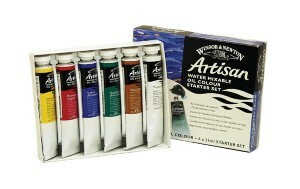 Right now you can fill out a form for a FREE Winsor & Newton Art Sample! They will ask you want media you work in, so your sample may be related to the answer you give. From time to time Winsor & Newton may send out samples for interested artists. For your chance to receive samples, please complete the below request. Subject to availability. One sample per household.